As demands for resources has grown substantially, many sectors have increasingly centered on maximizing resource efficiency. The government has established a 20-year national strategic plan aiming to pursue environmentally friendly development; meanwhile, the public sector has become progressively active in participating an eco-friendly movement and shifted to the green lifestyle by using reusable bags instead of plastic bags. The private sector is another fundamental component to help drive resource efficiency throughout the value chain by applying the circular economy to build a long-run sustainable growth for all relevant sectors. The solid waste statistical data showed that Thailand generates an estimated 27.37 million tons of waste per year, equivalent to about 74,998 tons per day or 1.13 kilograms per person per day. Proper waste segregation and disposal can separate out recyclable waste up to 31% of total waste. 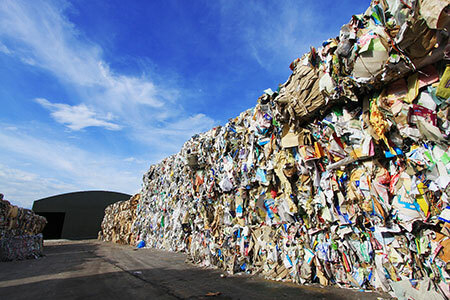 SCG Packaging Business, led by Sourcing and Supply Management, a supplier for raw materials and paper for packaging needs, has implemented circular economy principles in its operations by establishing paper scrap purchasing points nationwide. Those who are interested in selling paper scraps, please contact Sourcing and Supply Management, SCG, at 02-586-4598. The raw paper materials will then be processed in the manufacturing process based on the circular economy concept. The circular approach begins at the early stage in the design process as the product is developed to be lighter in weight to reduce pulp usage yet maintaining the same strength. The product is also redesigned to be recyclable and reusable. Besides, the paper product is developed to have a higher proportion of recyclable materials while remaining durable and clean. This recyclable paper design effort creates diverse values for many applications such as Merchandising Display for promoting the use of recyclable paper to substitute other materials. For production process, SCG has focused on resource efficiency throughout the value chain by introducing a series of streamlining measures, e.g., reduction of water and energy in the production process, implementation of a digital system or application tools for data connection between SCG and vendors, business facilitation and logistics services. 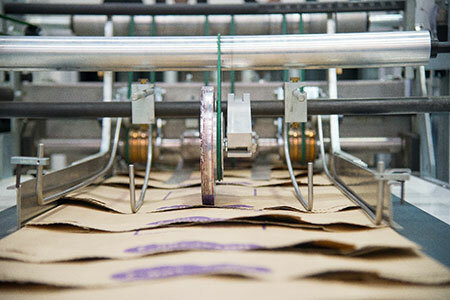 SCG offers a wide range of products made in an environmentally friendly production process such as Green Carton, a fully recycled paper bag that is strong and recyclable. Customers can take part in environmental conservation efforts by using products that are produced in the eco-friendly design and production process. 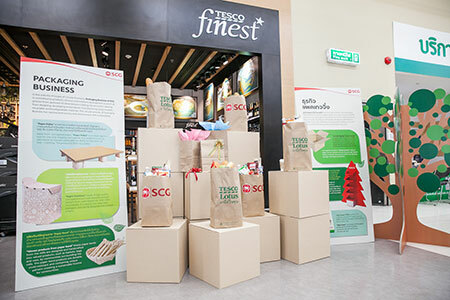 SCG’s Packaging Business has partnered with Tesco Lotus since 2010 to recycle used corrugated cartons within Tesco Lotus’s operations into new paper. SCG has developed the method to collect used paper and packages throughout the entire value chain to help reduce the use of resources efficiently. Plus, SCG harnesses digital technology to create a digital platform to align with today’s lifestyle to help improve business competitiveness and meet the customer needs in the rapidly evolving business landscape. SCG will continue to focus on creating innovation to meet the needs of stakeholders and further development of sustainability by maximizing the resources according to the circular economy concept and adopting digital technology in the organization. These efforts will help enhance operations of the entire value chain which are significant foundations for building business growth and sustainability of all relevant parties. SCG aims to forge more cooperation to drive ASEAN to achieve sustainable development goals and become a model organization for knowledge transfer on sustainable development with the aim of enhancing Thailand’s industry.